Gregg Segal, photographer, developed a strong interest in food after working on Seven Days of Garbage, a 2015 photography project that highlighted the kind of refuse generated, as a typical family shops for and eats seven days of food. Overconsumption and almost unbelieveable amounts of “garbage” were evident in Gregg's pictures. He hoped his photos of unused food and the refuse from a week’s diet would highlight the environmental impact of the choices we make, and inspire first change. That project helped to fuel interest in tackling food’s link to kids' health. A 2017 Kickstarter project, plus significant support from Time and GEO magazines, helped to get Gregg's next project, Daily Bread, off the ground. The idea was to see cultural influences on a week’s worth of eating in a child’s life. 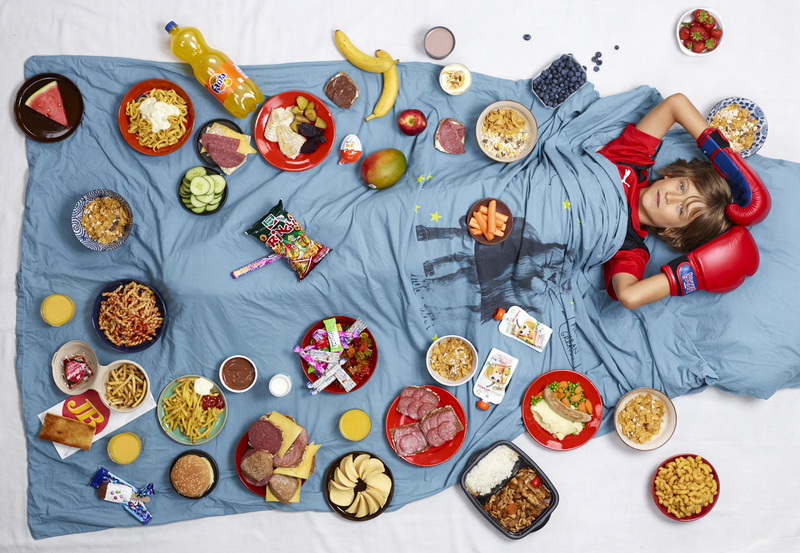 Families kept precise food diaries of what their child ate for a week, and then Gregg’s team of stylists recreated the full seven days’ worth of food, surrounding the child for a true photo reveal moment. Just what are parents feeding their kids these days in Los Angeles, Kuala Lumpur, and Nice? 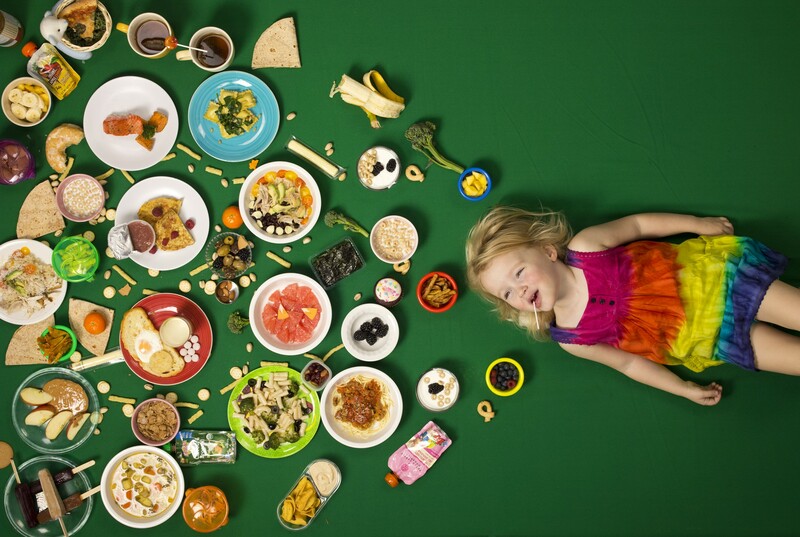 Given the availability of processed food and the realities of childhood obesity in many countries around the world, Gregg hoped that replicating “what kids eat in a week,” in a striking visual format, might inspire and inform parents in a way that lecturing or shaming never could. Here is an edited version of our conversation about his work. Gregg, did you have a predetermined goal with Daily Bread? He feels that precisely journaling a week’s worth of food and then creating a portrait with the child surrounded by the food might give parents pause and help them reconsider shopping and feeding practices. Seeing a young child who is overweight, surrounded by the food she eats each week might help connect the dots to the food habits modeled by parents. Parents of those children not overweight still can take stock of how much processed food they are feeding their kids and how few fruits and vegetables are in week’s meals. Gregg feels it makes the problem less hopeless because you can begin to see solutions. “I hope that Daily Bread can stir the pot and help parents to reconsider what kind of food they should feed their kids." You have an eight-year-old child. How did that factor into your decision to embark on the Daily Bread project and did the results influence your household? “My wife helped me to start thinking about a healthier diet personally. I wasn’t eating terribly unhealthy food but I did have IBS (irritable bowel syndrome) and I was pleasantly surprised and inspired when the dietary changes she introduced helped to relieve my symptoms.” He then shared that his own son has a really serious sweet tooth, so he and his wife mindfully prod vegetables and healthy snacks. His work with kids in Los Angeles, for example, suggests that many parents seem comfortable leaving food decisions in the hands of their kids. Gregg shared that he grew up with an understanding: “This is what you get for dinner, now clean your plate.” He suggests that it seems clear from the photos that many kids may indeed be running the food show and they are clearly not eating enough fruits and vegetables. How were the kids in the pictures chosen, and what did most families take away from the experience? I told Gregg that it was clear to me that some of the children were showing signs of weight issues. For Gregg, that's not surprising, given current childhood obesity statistics. 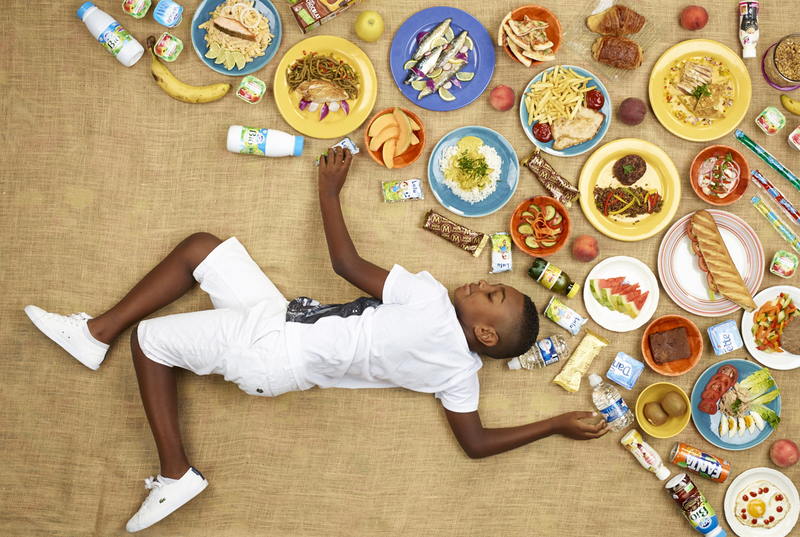 The resulting photographs offered an honest, factual account of each of the child’s diet truth. In some cases it highlighted the beginning of disease (obesity) while in other cases you can see a distinct lack of fruits, vegetables, and other wholesome foods. What kinds of actions do you hope to see from parents and others who view the photographs? He also hopes that schools consider creating lesson plans from this project since there’s little if any nutrition education in most schools, and cafeteria food is often not especially nutritious. He would encourage parents to keep Daily Bread (journaling, awareness of the seven days of eating and the visual activity) ongoing in the home, even as changes begin to occur. Gregg said that one child he photographed did recognize he was overweight and has since cut back on snacks and sugar. What are you future plans with this project? Gregg noted that pictures work especially well in the world of advertising, so why not try and push people to face their food habits and “see” what they choose to feed their kids, through a full-fledged campaign? Stay tuned. Gregg Segal is not done yet.